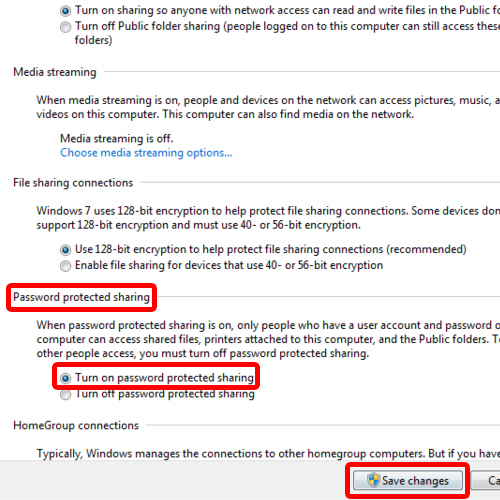 Password protected sharing in windows 7 allows you to restrict access to the shared content within the network. You can limit the number of users who have access to the files and folders you have shared in the network. Before accessing the shared content, users will pass through an authentication process where they will be required to enter the username and password that you have set. With this particular feature, you can restrict unauthorized access to the shared content. In this tutorial, we will guide you on how to do password protected sharing. 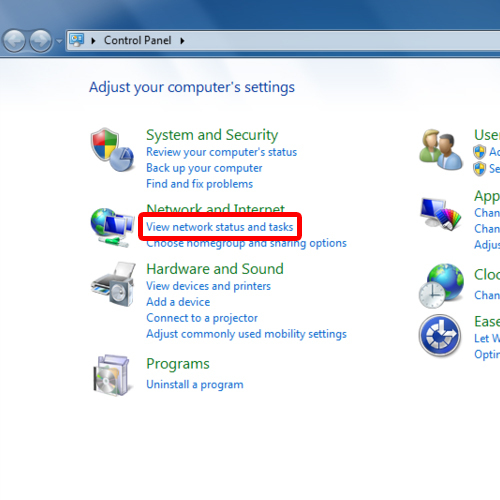 To start with password protected sharing in windows 7, first of all, you will have to access the control panel. For that, open up the start menu by pressing the windows key on your keyboard. An alternative way to open up the start menu is by simply clicking on the start menu icon located towards the bottom left side of the screen. 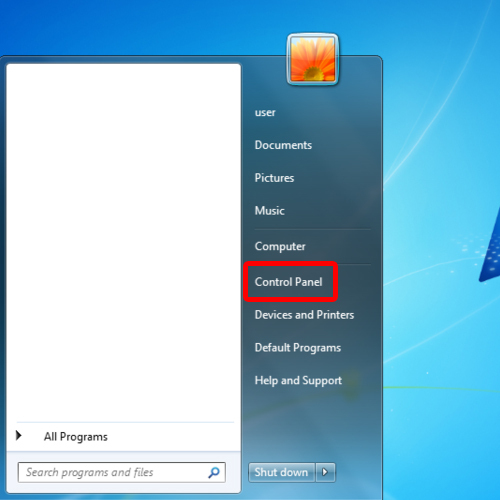 With the start menu opened up, click on Control Panel to open it. Once the Control Panel window opens up, you will see a number of computer setting options appearing categorically. Over here, move to the network and internet category and click on the “View network status and tasks”. This will open up the network and sharing center. 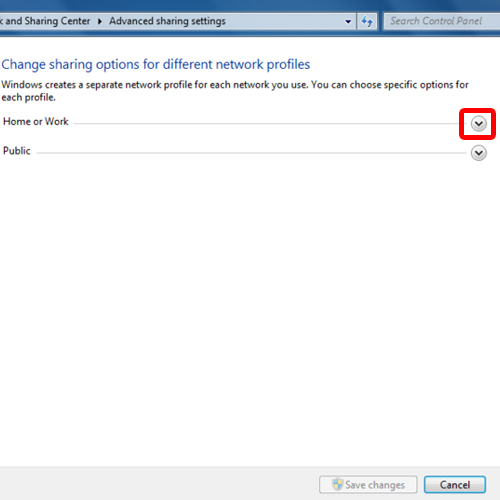 When the “Network and Sharing Center” window opens up, click on the “Change Advanced sharing settings” option located in the pane towards the left side of the screen. 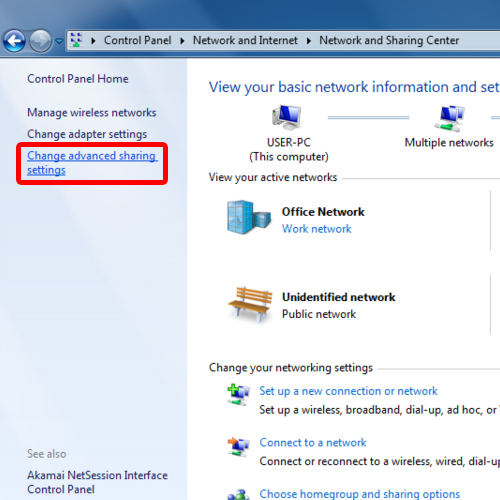 With that done, the advanced sharing settings window will open up. Here, you will see two categories. The home or work category and the public category. Since we need to set up password protected sharing, we will be moving over to the home or work category. Over here, expand the “home or work” option by clicking on the drop down arrow next to the option. Scroll down and you will see the “Password protected sharing” option. You can see here that by default it is switched off. Simply click on the “Turn on password protected sharing” option and save the changes made. This will enable password protected sharing in your network.